In fall, plant cloves in well-drained beds after the first frost has passed and the soil is cool. 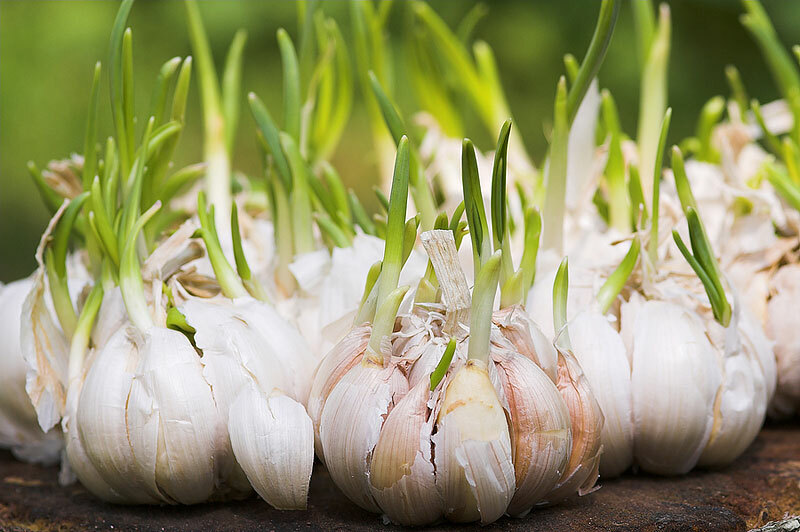 Cloves can also be planted in late winter as soon as the soil thaws, but fall-planted garlic produces bigger, better bulbs. 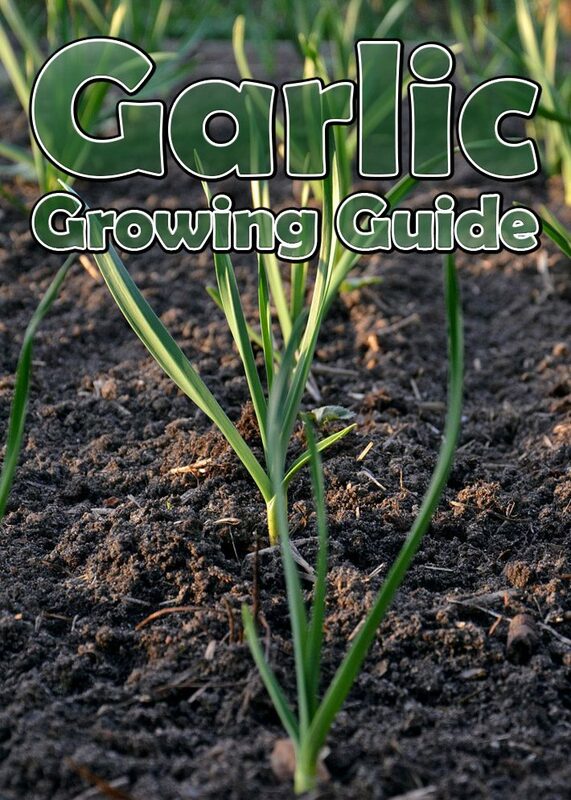 Garlic can be spring planted, but a chilling requirement must be met for the cloves to properly grow, and plants need to reach an adequate size before day length increases, which triggers bulb formation. 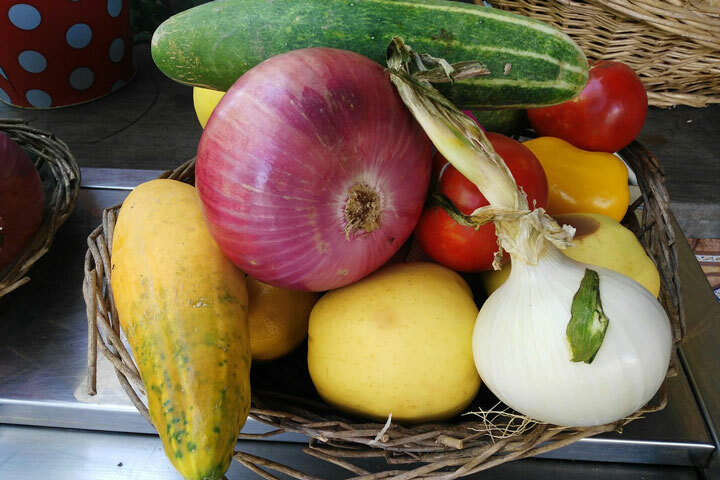 To meet this requirement, spring planted garlic should be stored under refrigeration for at least 8 weeks prior to planting, and should be set as early in the spring as possible. 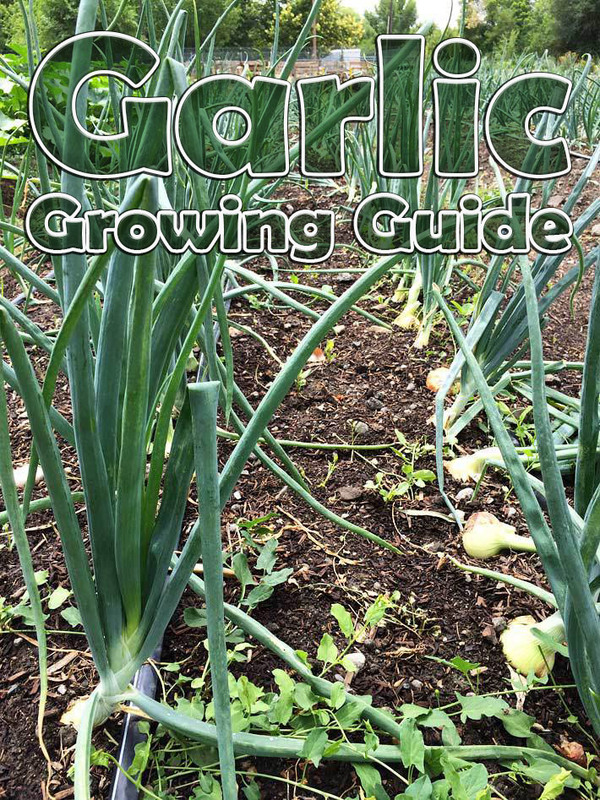 Fall-planted garlic however, will obtain its chilling in the soil and has the advantage of gaining fall root growth and earlier maturity. Choose a sunny site, and loosen the planting bed to at least 12 inches deep. Thoroughly mix in a 1-inch layer of mature compost. In acidic soil, also mix in a light dusting of wood ashes. Wait until just before planting to break bulbs into cloves. 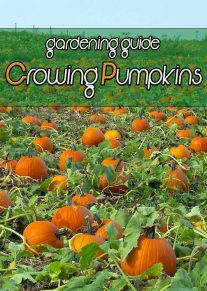 Poke the cloves into the ground 4 inches deep and 6 to 8 inches apart, with their pointed ends up. Cover the planted area with 3 to 5 inches of organic mulch, such as hay or shredded leaves. If allowed to flower, some varieties produce fleshy bulbils (little bulbs) atop the flower stalk. 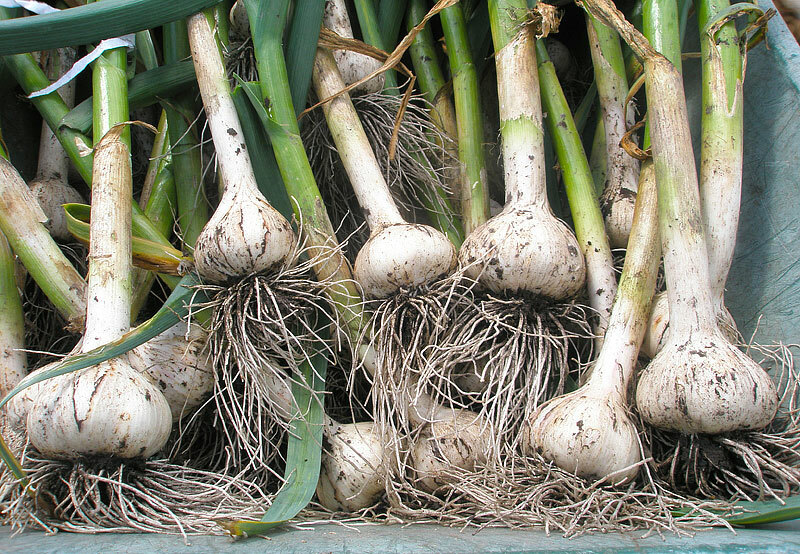 Elephant garlic often develops elliptical, hard-shelled corms underground outside the main bulbs. Bulbils and corms can both be replanted. 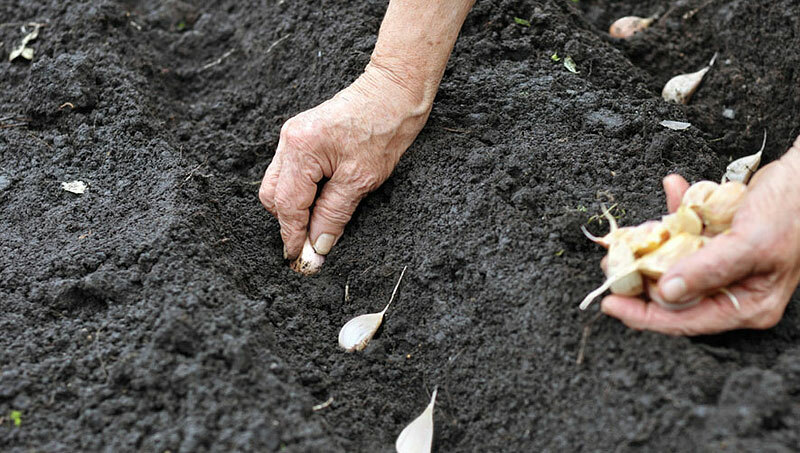 The first year after planting, bulbils and corms will grow into small plants that can be harvested as scallion-like “green garlic” in late spring, just before the roots swell. If left unharvested, bulbils and corms develop into full-size bulbs in two to three years. Experiment with types and varieties, because each reacts differently to weather and rainfall patterns. A spring hot spell that bothers one variety may benefit another. Related: Here you can read about amazing Health Benefits of Garlic.